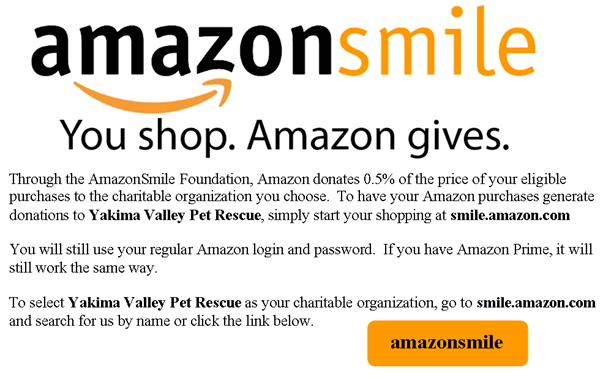 Thank you for considering being a volunteer of the Yakima Valley Pet Rescue and Adoption Center, henceforth referred to as YVPR. If you have not yet done so, please fill out and submit our Volunteer Application form. Our Volunteer Application, and additional information on volunteering and fostering, can be found on our Volunteer page. When becoming a volunteer of YVPR, you will be required to abide by this Volunteer Agreement and Waiver. Please read it CAREFULLY. ALL volunteers must read and sign this form before starting your first volunteer assignment or receiving your first foster pet. I will treat all animals and other volunteers with respect, and I will work as a team member with all volunteers. I understand that the rescue of animals is YVPR’s mission and highest goal and that all activities must be done collaboratively and with consideration of others for this mission to be accomplished. I am aware that as a volunteer of YVPR, I am acting as a representative of the organization and agree to act responsibly at all times by maintaining a professional demeanor. I understand that it is important to protect the reputation of YVPR at all times, and that even though sometimes people can be grumpy and rude, I will always do my best to be understanding, helpful, and use good customer service. I agree to be supervised as appropriate by YVPR personnel and will report any problems that arise directly to the proper YVPR representative. I will take any complaint or concern directly to a Board of Director or appropriate Coordinator, not to any other volunteer or member of the public. I understand that I am only allowed to participate in YVPR approved volunteer activities, as directed by the Volunteer Coordinator, Events Coordinator, or Board of Directors. Any additional volunteer activity that I wish to perform on behalf of YVPR must be pre-approved by the YVPR Board of Directors prior to participating. I agree to always follow through with any responsibility that I have committed to and to arrive on time to any event or activity I have agreed to assist with. If for some reason I am unable to attend an activity I have said I will be at, or if I am going to be late, I promise to make every effort to contact the Volunteer Coordinator, Event Coordinator, or another YVPR Director. I will abide by all YVPR rules, policies, procedures, or other guidelines. I agree to return any and all property belonging to YVPR that was provided to complete or assist with my volunteering activities. I agree that any animal rescued by YVPR is owned solely by and is the property of YVPR, and as a volunteer of this organization, I will not withhold, sell, or give away any animal entrusted to me by the organization. I will follow all rules regarding animal release and adoption, and will not break them for any reason. 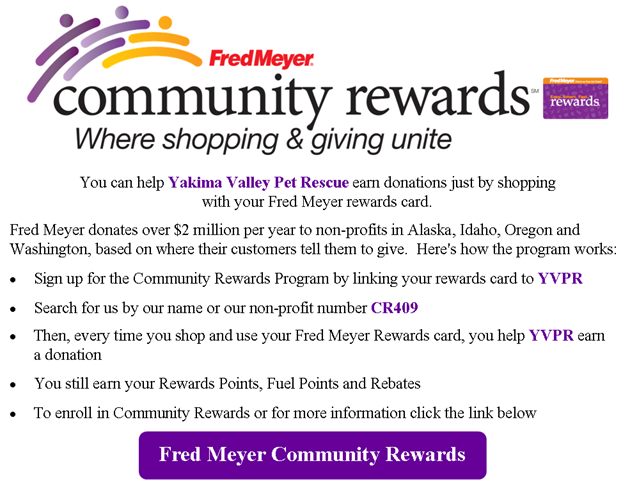 I understand that I may not be reimbursed for any expense that I incur while volunteering for YVPR, unless it has been pre-approved by the YVPR Treasurer or Board of Directors. I hereby grant and convey unto YVPR all right, title, and interest in any and all photographs, images, and video or audio recordings made by YVPR during volunteer activities, including but not limited to any royalties, donations, proceeds, or other benefits derived from such photographs or recordings. I further permits YVPR to publish said images, recordings, and videos at will on the website, newsletter, and in other media for advertising and other use as YVPR deems appropriate. I understand the possibility of risk of transferring disease-causing microorganisms during animal handling activities from YVPR animals to myself and to my personal animals or vice versa (examples: distemper, giardia, toxoplasmosis, and other parasitic or fungal conditions such as ringworm). I agree to take all precautions to avoid such transfer, and I agree to the importance of having myself and my pets up to date on all current vaccinations, and that I should be in particular up to date on my tetanus vaccination and covered by a health insurance plan. I understand that YVPR will not be responsible to pay for any vaccination, for my pet or myself. I understand that although YVPR will make every attempt to ensure the safety of their volunteers and animals, rescue animals are by nature unpredictable in their behavior. Therefore, I assume the risks of being bitten, scratched, injured, or frightened by cats, kittens, dogs, and puppies in connection with my volunteer work for YVPR. Neither YVPR, or any of its Directors, volunteers, fosters, or other affiliates are liable to me for any injuries, damages, liabilities, losses, judgments, costs, damage to property or expenses whatsoever that I might suffer or sustain in connection with the performance of my volunteer activities for YVPR. I will indemnify, defend, and hold the YVPR Directors, volunteers, fosters, or other affiliates harmless from and against any claims, lawsuits, injuries, damages, losses, costs, or expenses whatsoever sustained by any foster animal or any person in connection with my intentional misconduct or grossly negligent performance of volunteer activities for the YVPR or my breach of the YVPR’s rules, regulations, policies, and programs. I understand the potential safety risks of working with animals and that I may not bring friends or family members with me while volunteering for YVPR, unless they have also submitted a Volunteer Agreement and Waiver of Liability, or prior arrangements have been made in advance with the YVPR Directors. I also understand that if I chose to bring a minor, that I am a legal guardian of, while volunteering, that I am responsible for that minor and will take all precautions necessary for the protection of them and YVPR animals. If I am 14 or younger I must be accompanied by an adult at all volunteer events I participate in for YVPR. I authorize YVPR volunteers to seek emergency medical treatment for me in case of accident, injury or illness. The animals will stay at my home until the animal is ready to return to YVPR. I understand it is my responsibility to transport foster pets, in my care, to and from appointments set up by YVPR for veterinarian visits, and to the YVPR office for adoptions or transports. I understand the animal is the property of the YVPR and that I do not have the right to harm, sell, give away or provide medical treatment without the YVPR’s permission. Cats must stay indoors at all times during foster care and de-clawing is not allowed. I understand that a YVPR volunteer will examine my home before I can foster a pet, and that any volunteer from YVPR has the right to examine my yard or home, upon request, at any time. I also understand that I may be required to participate in a Foster Home workshop before I can foster, or during the time that I am fostering. I understand that all supplies provided to me by YVPR to assist with my fostering activities are the property of YVPR and MUST be returned upon completion of the foster activity. I also understand that there is always a slight risk that the foster animal could harbor a contagious illness. My animals are currently vaccinated and should they or a family member happen to become ill, (allergies, etc.) as a result of my foster pet, I will not hold YVPR responsible. I also understand that while YVPR takes every precaution to not place aggressive dogs in foster homes, that there is the risk that a rescue dog, or cat, could inflict a bite or scratch to myself or family members. I understand that if I witness any aggressive or other dangerous behavior from my foster pet (or from any members of my own family or pets toward the foster pet) that I will immediately notify YVPR to have the pet removed from the home. I will not hold YVPR responsible for any injuries that might occur from fostering a pet. I release YVPR from any and all liability of damage, injury, illness to my family, pets, property or myself while I am volunteering as a foster parent. I understand that if I fail to abide by the terms of this Agreement & Waiver form, or am otherwise unable to meet the requirements of the volunteer or foster program, which are subject to change by YVPR Directors at any time, I understand that I can be terminated from the program. I also understand that I may, at any time, be removed from my position as a volunteer at the discretion of the YVPR Board of Directors. However, as we are an all-volunteer organization, we really need you and like having you around. If you are nice to the animals all the time and to us and all the other volunteers most of the time, you will be appreciated. We love our volunteers and can’t do this without them! All information that I have supplied to YVPR in my application and agreement, or elsewhere is accurate and truthful to the best of my knowledge.